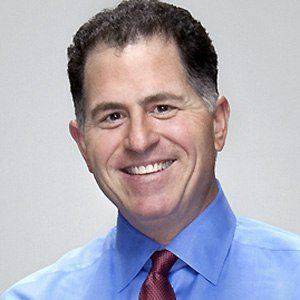 Dell CEO who founded the computer company at 19 in his dorm room. He sold Houston Post subscriptions door-to-door during his high school summers. He was listed as the 41st richest person in the world by Forbes in 2012. He was born into a Jewish family in Texas. His father was an orthodontist, and his mother was a stockbroker. He had four children with his wife Susan Lynn Leiberman. He was contemporaries with another famous Jewish entrepreneur, Duff Goldman.